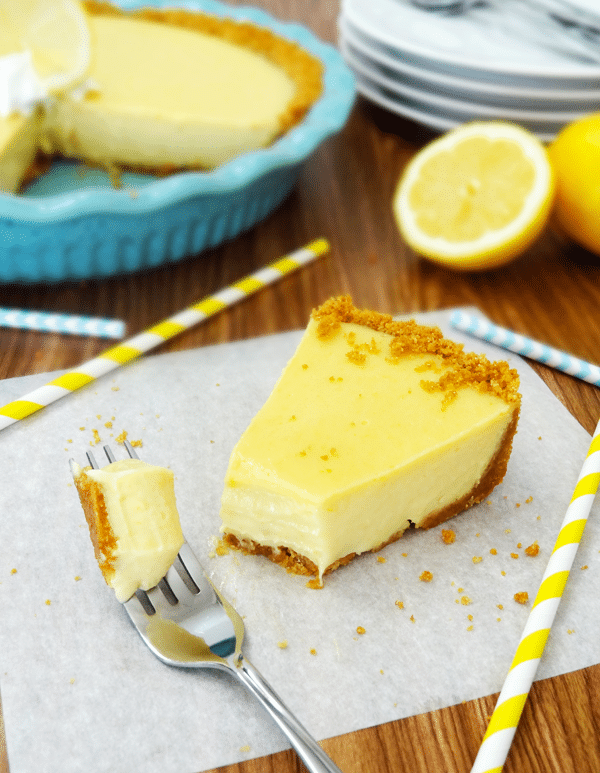 This Lemon Icebox Pie recipe is the perfect marriage of two of my favorite things. 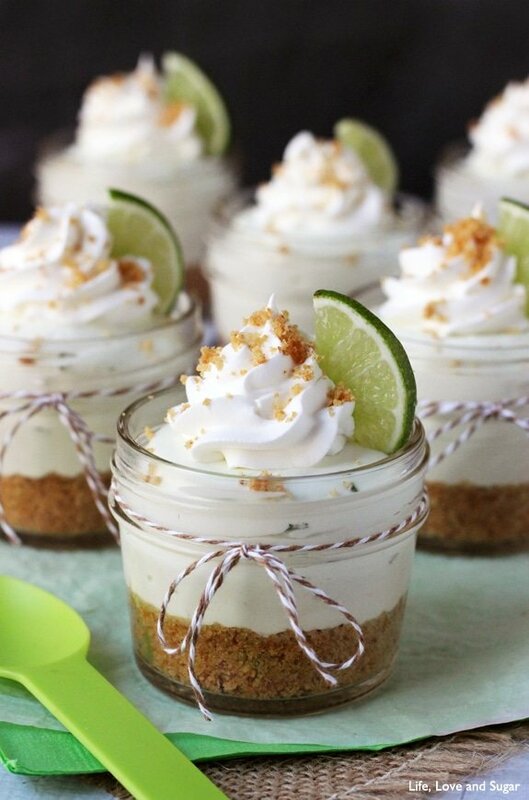 The wonderfully sweet tartness of lemon and the soft and creamy texture of a key lime pie. It is seriously hard to stop eating. 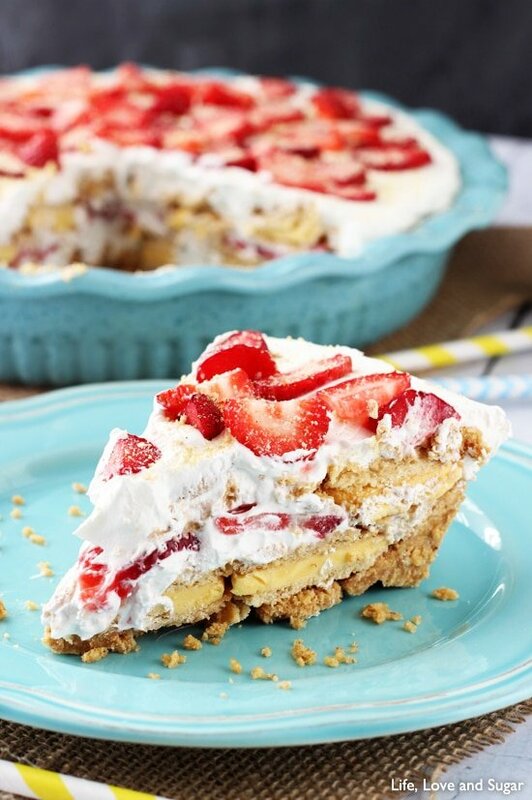 And even though it’s an icebox pie, it’s awesome both frozen and refrigerated. It totally depends on your preference. Refrigerated is more like the soft, creamy texture of key lime pie, but when it’s frozen it’s firmer (and sometimes I really dig that). Fortunately, even when it’s frozen it never really gets hard so it maintains that smoothness that I love! And it’s not hard to make. The directions for a graham cracker crust are pretty straight forward. Some crumbs mixed with sugar and butter, then you press it into the pan. My favorite kind of pie crust – quick and easy. Of course if you want it to be even easier, you can always buy a pre-made graham cracker crust at the store. No shame in that. The filling isn’t hard to make, but squeezing all the lemons and grating the lemon zest does take a bit of time. And don’t forget to zest the lemons before you juice them. Zesting already squeezed lemons isn’t easy. Once you’ve got that covered, it comes together pretty quickly. I love my stand mixer because I can set it on high and just wait for the egg mixture to start getting a paler shade of yellow. No arm workout necessary. But truly the hardest part of making this is having to wait for it to cool after baking. Absolute torture. I couldn’t wait to dig in and it did not disappoint. 2. Mix together graham cracker crumbs, sugar and melted butter. 3. Press graham cracker mixture into the bottom and up the sides of a 9 inch pie pan to make the crust. 5. In a medium sized bowl, whisk together the lemon juice and sweetened condensed milk. 6. In a large bowl, beat the lemon zest and egg yolks on high until pale. 7. Add sweetened condensed milk mixture to egg mixture and beat until smooth. 8. Pour filling into the pie crust. 9. Bake the pie for about 25 minutes. The edges should be set and the center should jiggle slightly when the pie is moved. 10. Cool for an hour, then refrigerate or freeze for at least 6 hours, depending on preference. The pie should keep for about a week. Recipe slightly modified from Pip and Ebby. This post linked to Skip To My Lou, I Should Be Mopping The Floor, I Heart Naptime, Inside BruCrew Life, Chef In Training, Pint Sized Baker, Love Bakes Good Cakes, Flamingo Toes and Mandy’s Recipe Box. Can’t get enough lemon? 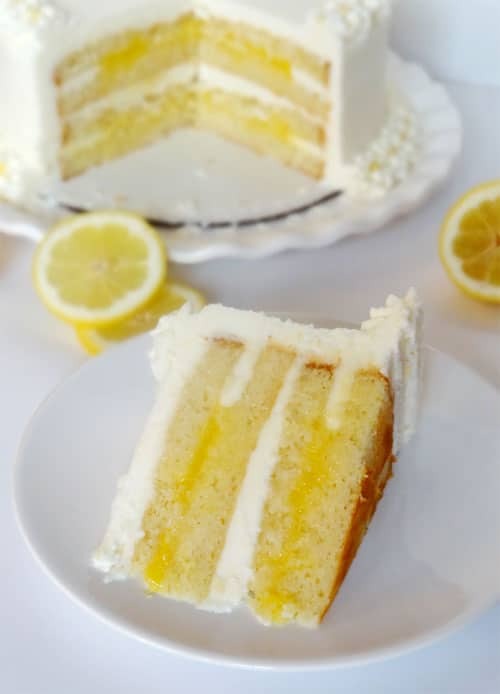 This Triple Lemon Cake will rock your world. YES. this is exactly my kind of dessert. 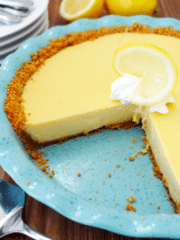 i love my key lime pie for the exact same reason – that smoothness plus the tartness is perfection. and lemon i love even more. i will absolutely be trying this! like ASAP! Thanks Carrie! You’ll love it! Your pie looks beautiful! And I adore lemon in desserts. Seriously drooling right now! This is super gorgeous! I am so in love with lemon. Pinned! YUM! 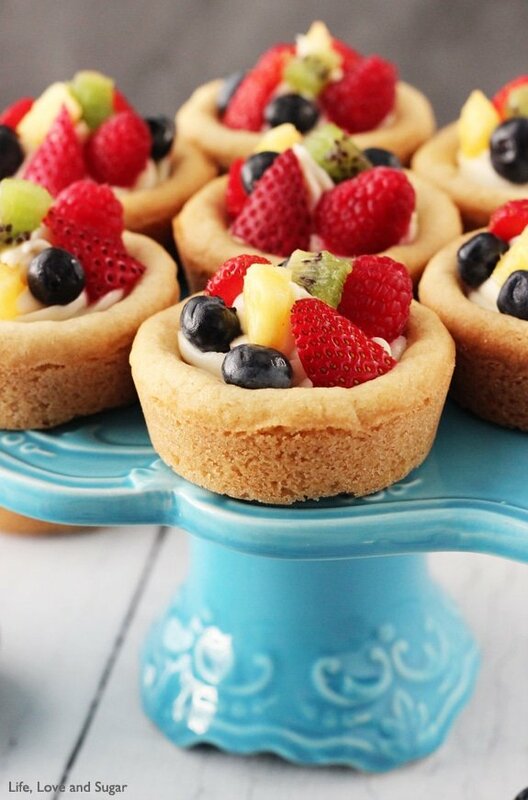 A great summer dessert! And your pics are gorgeous! This pie looks lovely!! I’m loving lemon anything lately! How can you call it an “icebox” pie when it has to be baked? Hi Dane! I didn’t really come up with the name of the pie, though I supposed I could’ve called it something different. However, I believe the “icebox” is in reference to the fact that it’s typically a frozen pie. Thank you, sounds good and will make it soon when I get some lemons. I wonder if I could use lemon juice instead, since I always have it on hand. I love key lime pie and I love lemon. this looks great! Hmmm, I wonder if the site was running slow. It seems to be working now. Please let me know if you continue to have issues so I can look into it. Thanks! Lindsay, I have been following your blog for a while, and I must admit I love it! From the beautiful photographs to the organization of the blog (I looove organized blogs, it is so much easier to find a recipe!) Your decorations are amazing, somehow you make everything look beautiful 😉 I also wanted to ask you if you had a Lemon Meringue Pie recipe? I’ve been looking for one in other blogs but cannot seem to find one! Congratulations on your blog! I’m wanting to make this in the worst way but am afraid of a strong taste of lemon. I made key lime pie which was basically the same as this lemon pie recipe and sadly it went straight in the garbage. It tasted like disinfectant. So….has anyone actually MADE it here? I see all I’m gonna make it but nothing else. 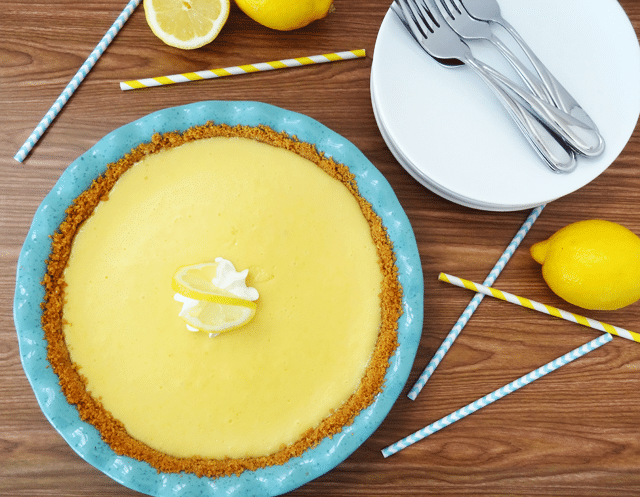 If you don’t like strong lemon flavor, I’m afraid you won’t like this pie. Its similar to key lime in strength of flavor. 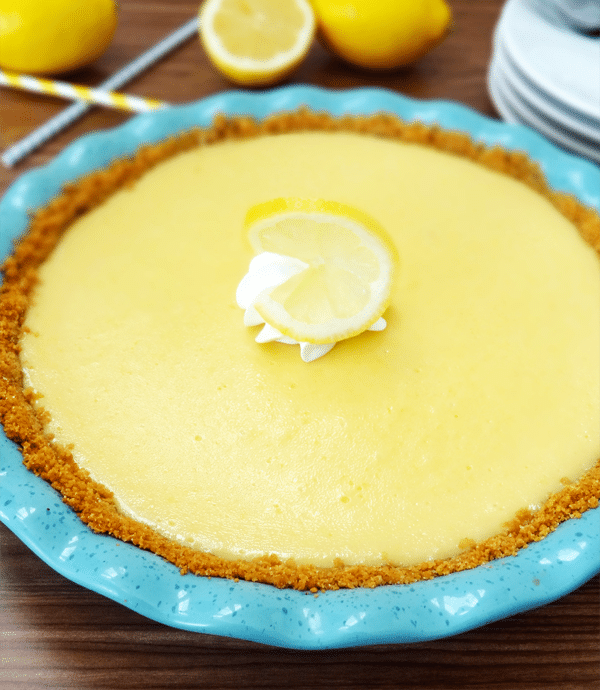 Thank you for the recipe for Lemon Icebox Pie, great reviews from the birthday girl! The only thing I am wondering is why did my pie get mushy the day after serving it? It still tasted great but was loose and watery in the center. Did I not cook it long enough? I cooked it longer than the recipe called for because it was jiggling too much in the center. What is your experience with this if any? Hmm, I actually haven’t had that happen before. That seems strange. I’m sorry, I don’t know what would cause that. I actually cooked mine for about 35- 40 minutes. At one point, I even turned up the oven to 350. I just made this last night, and I’m sorry to say it was a disappointment. The filling was just way too tart, and I’m someone that loves all things lemon. 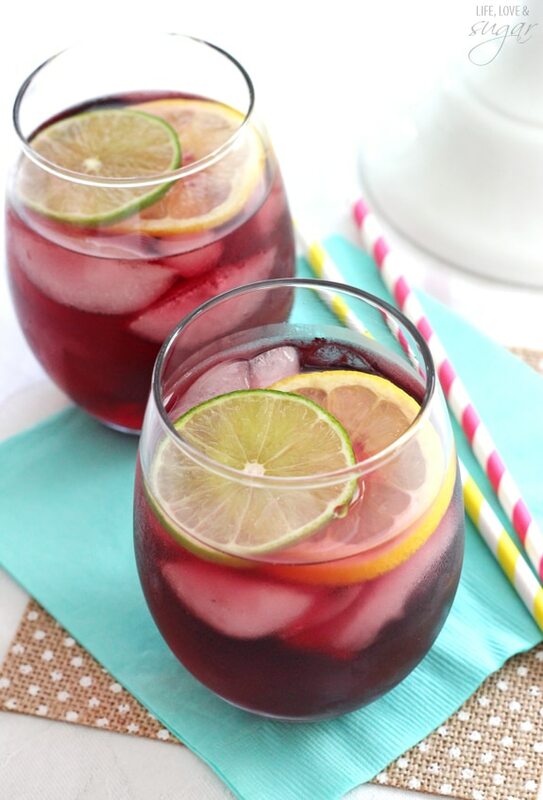 The recipe calls for 2T. 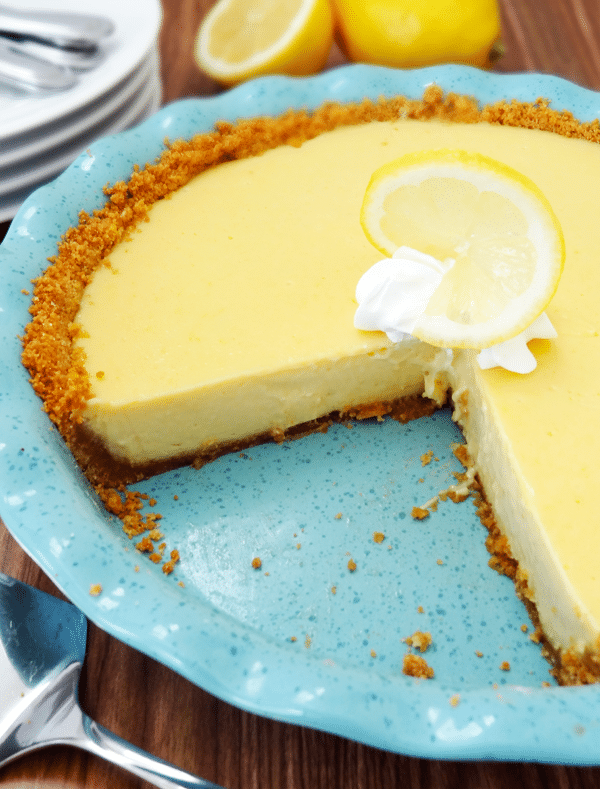 of zest and over a cup of juice, but most key lime pies call for only 2t. of zest. I know I’m comparing lemons to limes, but all the same it was still too tart. Everything else about the recipe worked well, it cooked up beautifully and sliced perfectly. I would recommend anyone else trying this not to hesitate to cut back on the zest. Way too tart for me ! If I wanted to bake these in mason jars as individual sized pies, do you think the baking time would be about the same or less? I made this pie last night. It as so delish. I made it as a surprise for my boyfriend who loves lemon icebox pies. He is actually a chef, and he really enjoyed it. So, I think this recipe is definitely a keeper. I made this for Easter dinner at the in-laws yesterday and it was a huge hit! Even my picky nephew asked if I could leave the left-overs, lol. Thanks! Arielle, is it safe to eat raw eggs which you haven’t cooked? An easy way to smooth out the tart, is to blanch your zest, once or twice. It all depends on what variety of lemons your using. It may take a few trys till you find the right acidity your looking for. You can also add a very little bit of salt, but this can also be a taste challenge. A way to keep your centers from be too liquidity, use a whole egg or 2, if centers crack, use less whole eggs. Are all these recipes in one book? No, they aren’t. Just on my site. I do have a cookbook though, if that’s something you’re interested in. My momma has been making “Lemon Icebox pies” for years and I also have made them, though not often at my house since I’m the only one who eats it here. Your variation is a little more more complex/involved than ours though. We simply juice the lemons, mix it with the sweetened condensed milk (has to be mixed very well or it will not set!) And pour it into the crust, whether homemade or store bought, and put it into the refrigerator, taking care to ensure it’s sitting level, and that’s pretty much it. Once it’s set, just slice and serve! Perhaps those who thought your recipe was too tart would enjoy this somewhat milder version instead. We also make something we call “Banana Split Cake” which uses this simplified version our family has made for generations as a base. Once that is set, in a rectangular cake pan instead of a pie plate, halved small bananas are layered in with pineapple chunks between them, then a thick layer of whipped cream, and topped with chopped nuts and maraschino cherries! It’s very good but extremely rich so it’s best to enjoy small pieces at a time but it’s definitely one of my all-time favorites! And to think I ended up on this page after searching for peanut butter and banana dog ice cream recipes! ???? 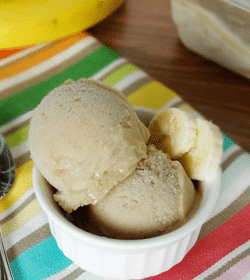 The banana split version sounds so fun – love it! I hope you enjoy the dog ice cream too, lol! Well, I’m not going to be be the one eating it but at least it’ll be a good way to attempt to bribe the bratty diva dog into liking me again because she’s about to be very mad with momma! The weather here keeps jumping back and forth between “almost spring” and “Haha, just kidding, here’s some more snow!” ???????????? so, I’m not mean enough to make her and her brother get in the tub for actual soap and water baths yet but it’s coming soon. In the meantime, they’re both getting sprays baths, which she doesn’t actually mind, but she does, however, mind being forced to sit still for the ~20 minute brushing with the Furminator to try and keep some of the what will surely be a full grocery bag of shedded hair off the furniture and carpets. I mean, I know it’s called “FUR”niture but when the winter coat starts coming out I can only deal with so much between my hair shedding and hers before the insanity gets the better of me! ???? For the first time in my life I find I’m envious of the folks with the pocket dogs! Lol! Although in her own mind, she’s a pocket dog too. I mean, I don’t personally have any clothes that would support a 75 pound dog in the pocket but surely someone somewhere does! I’m just glad my 95 pound American bulldog has a single, short coat. He’s far more hyper and it’d surely take me an hour at a minimum to get all that loose fur off! I think I’d just shave them both completely or have myself committed at that point! Haha! My pit bull (possible mix but at least mostly pit anyway) if mostly black with a white chest, blaze on her nose, white-tipped tail, and varying amounts of white on each of her feet! They both LOVE the peanut butter flavored “Frosty Paws” from Purina so I’m think the peanut butter banana homemade ice cream will be a big hit. Plus, I think once the weather is warm enough to sit on the deck for a while it’ll keep her occupied and still for a while so I can paint the little brat’s nails and she can stay put long enough for them to dry. I know, it sounds like I’m the crazy dog lady but I didn’t just wake up one day and decide I should paint the dog’s nails. I was painting my own while sitting on my bed with her right next to me one day and I got 2 nails painted before she started shoving her big paw in my way. I moved it a few times but eventually, as I was getting rather flustered, I thought, “maybe she just thinks that her nails ought to be painted too.” So I put down a towel in front of her, she presented her paws and sat still just watching me paint her nails as though it was a regular occurrence. Maybe her original owner(s) did it for her before getting rid of her and she was picked up as a stray where I adopted her at 1 1/2 years old. I won’t paint them inside the house because they don’t always dry quickly and I hate trying to remove nail polish from my carpets. She ignored me for the rest of the day when I painted my nails 3 weeks ago and she kept trying to shove her paw on my hand/in front of me in an attempt to get me to do hers too. When I told her “no” she sulked and pouted. I find that spraying the newly painted nails with cooking spray cures them nearly right away but still she always manages to get it on the carpet anyway if it’s not done outside/on the deck. Holy crap I really got off on a tangent with that “essay” of a response! Sorry! Lol! In regards to my previous comment I realized I didn’t quite give the right description of the bananas being added. They are cut in quarters with one cut in the center horizontally and then each half cut into halves lengthwise. Then they are placed with the flat side down. Talking about it is making me crave it since I haven’t had it in years! If I decide to get the ingredients I may make an instructional video. If I do I’ll send you a link to try it out for yourself if you’d like. Also, I can’t remember how to get back to the dog ice cream recipe page so I’ll ask this while I’m here so I don’t forget: do you have a suggestion on the portion sizes? How big is your dog and what is the approximate serving size she gets? Again, sorry for the long reply/comment here!!! I made this cake for my family for Easter and they loved it ! They all said that it was best lemon cakes they have ever had! I plan on having it for my birthday in a few weeks! Lemon is one of my favorite flavors ! It is in the oven, the 9 in pie shell was to small, will use a 10 in next time.